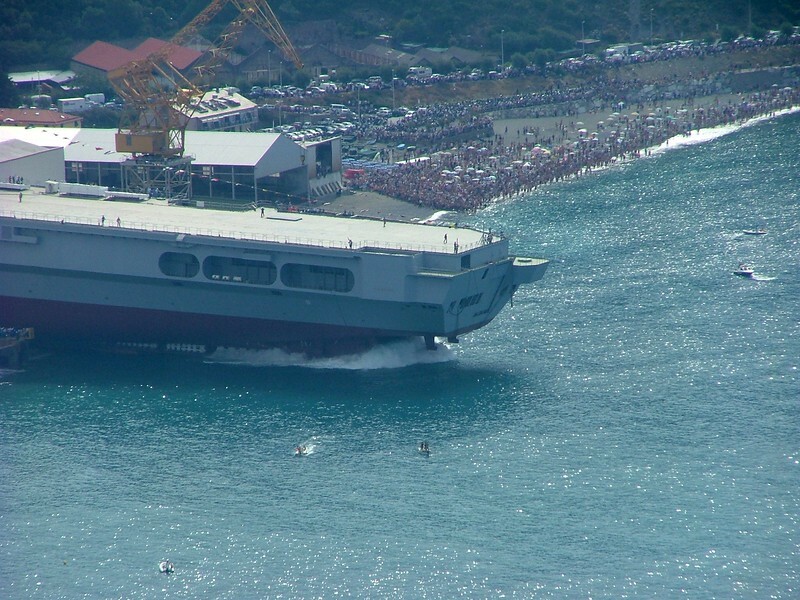 20th July 2004, Riva Trigoso (GE); launch of the italian aircraft carrier Cavour. Photos taken with a Fuji Finepix s5000. Varo della portaerei Cavour; foto scattate il 20 luglio 2004 a Riva Trigoso (GE) con una Fuji Finepix s5000. Launch of the Cavour aircraft carrier.